Tamoxifen is oral medication for the treatment of breast cancer. 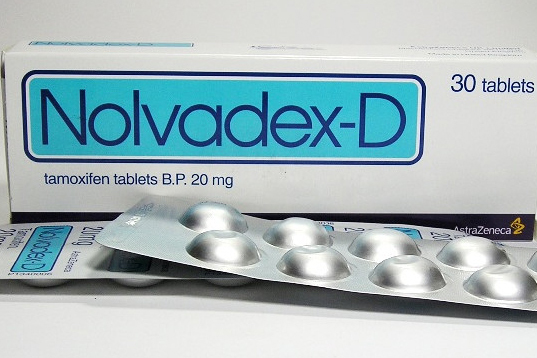 Also known by the brand names Soltamox and Nolvadex, Tamoxifen can be classified as both an estrogen receptor antagonist as well as an agonist, making it an effective treatment to stop the growth of certain types of breast cancer cells. Estrogen receptor positive (ER+) breast cancer requires estrogen to grow. When Tamoxifin binds to the estrogen receptors, it blocks the breast cancer cells and prevents their growth within the tissue. For metastatic cancer treatment 10mg or 20mg of Tamoxifen twice a day for five years is prescribed. It can be taken with or without meal. To promote ovulation dosage of 5 to 40mg twice daily is sufficient. Tamoxifen should be taken as per directions by doctor at regular time. In treatment of breast cancer, duration of the drug is usually 5 years. If you miss a dose then take it as soon as you remember it. Never take double dose to make up the missed dose. Treating ER+ breast cancer patients is currently the most effective use of Tamoxifen, but there are several other approved applications as well as a number of studies underway for other functions. Because of the many serious side effects, the benefits and risks of this medication should be discussed in depth with your doctor. In most ER+ breast cancer patients, the benefits far outweigh the potential dangers associated with Tamoxifen. It is also extremely effective in the treatment of male breast cancer and is often prescribed as preventive treatment for women at a high risk of developing breast cancer. Other possible uses of Tamoxifen include treatment of metastatic cancer, infertility, gynecomastia, and mania associated with bipolar disorder. It is also being studied for its effectiveness in treating chronic thyroiditis and is a critical part of genetic modification research in animals. Estrogen promotes growth of cancer cells. Cancer cells are hormone sensitive means they have protein on to which estrogen can bind. Estrogen is required for the cancer cells to grow, Tamoxifen works in against of this. Tamoxifen is also known as antiestrogen or sometimes selective estrogen receptor modulator. However, the drug is only effective for estrogen receptor positive breast cancers. Therefore it is better to check the tumor’s hormone receptor status before treatment. If you are allergic then tell your doctor before you start taking Tamoxifen. If you are using some prescribed medications, nutritional supplements or any herbal products then let your healthcare provider know. If you use one of the following medications then do inform your doctor. 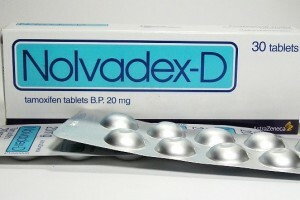 If you plan to be pregnant while using Tamoxifen then it is advised that duration should be 2 months after treatment. Tamoxifen is harmful to fetus. Breast-feeding is not advisable during treatment with Tamoxifen. Call the doctor immediately if you find lump in the breast.